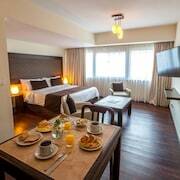 Loi Suites Arenales is in the heart of Buenos Aires, walking distance from Museo de Arte Hispanoamericano Isaac Fernandez Blanco and Brazilian Embassy. 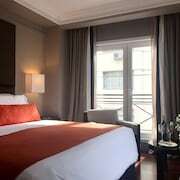 This aparthotel is close to Teatro Colon and Obelisco. 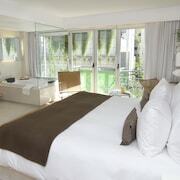 Make yourself at home in one of the 76 air-conditioned rooms featuring kitchenettes. Your room comes with a pillowtop bed. 26-inch LCD televisions with cable programming provide entertainment, while complimentary wireless Internet access keeps you connected. Private bathrooms with shower/tub combinations feature deep soaking bathtubs and complimentary toiletries.